Ahu Parmalim is a short documentary film by Indonesian foundation Kampung Halaman. Founded in 2006 in Yogyakarta, Kampung Halaman offers a space for young people to learn and understand the potential and challenges within their own environments through media. Kampung Halaman focuses on young Indonesians, whom they invite to make video diaries. These diaries are participatory video processes, facilitated by more experienced video-makers, and rely more on the process, than end-results. Final videos are screened locally, followed by discussions with stakeholders. Kampung Halaman runs an online video depot where hundreds of video diaries are archived and made available. Ahu Parmalim translates to: ‘I am a Parmalim’ in Batak, the local languages spoken by the Batak people in Northern Sumatra. The short documentary follows 17-year-old Carles Butar Butar going about his daily life in Northern Sumatra. Carles is a Parmalim, an active follower of the Malim religion (Ugamo Malim). Viewers are acquainted with the religious practices of Ugamo Malim and get to know Carles as a friendly, diligent and intelligent young man. He is well respected, performs above average in school, and is highly devoted to his religion, family, and his country. Notwithstanding his simple background, his parents are farmers earning just enough to survive, Carles, dreams of becoming a policeman. Through Carles inquiries, we also learn that believing in ‘the one true God’ is a mandatory condition for becoming a policeman in Indonesia. Every Indonesian citizen is free to choose his/her religion, a right clearly stated in article 28E of the Indonesian constitution. Nonetheless, minority groups and adherents of indigenous beliefs, such as Ugamo Malim, have always been subject to discrimination. They have to struggle not only to receive recognition and protection from the state but also to gain equal access to various public services. Carles’ case is no different. “We learned that Carles was rejected to join the Indonesian Police because he was not a follower of one of Indonesia’s main religions” explains Chandra, manager of education and technology at Kampung Halaman. This simple, yet intriguing short documentary, made on the sidelines of facilitating video dairies with teenagers in North Sumatra, has been able to open up discussions in Indonesia about religious freedom and tolerance. Ahu Parmalim premiered on International Tolerance Day (16 November 2017) at 40 locations across Indonesia simultaneously. Within three months it was screened over one hundred times. As we near the end of 2018, Kampung Halaman still receives requests for screening. Ahu Parmalim has been screened and discussed all over Indonesia, in Australia, Malaysia and toured briefly in the USA. Initially, screenings took place through network organizations of Kampung Halaman. Hosts received a screening guide and various one-minute animations movies (2 examples of which can be seen at the start of this video) were prepared to introduce and provide background information on key topics. A special website (in Indonesian) collects past and upcoming screening dates and locations, gives background information, has an online form to collect screening reports and documentation, while those interested in hosting a screening can send in their request here. 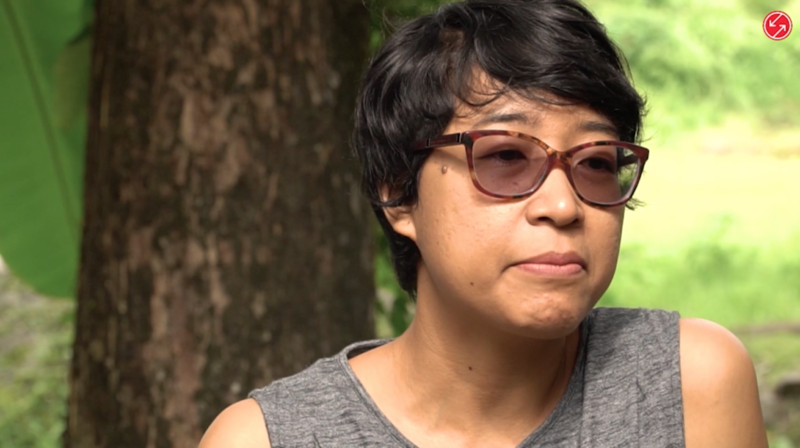 Watch an interview with Cicilia Maharani, the director of the film “Ahu Parmalim”.